Alex Scott, 20, is an environmental sciences student at Saint Mary’s University in Halifax, N.S. 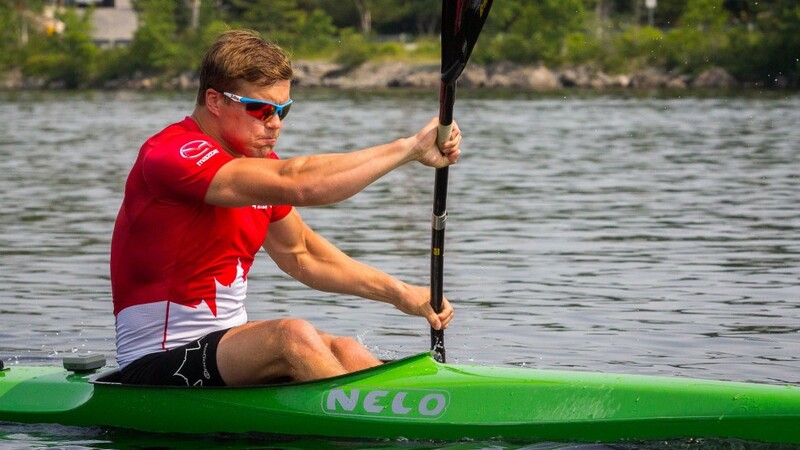 He also happens to be on the national squad for one of Canada’s most successful summer Olympic sports – sprint kayaking – with a chance of making it to Rio. Not to mention, he’s the training partner of a current world champion and record holder. At the age of 15, Scott was one of the top junior judo players in the province and in February 2011, he competed at the Canada Games in Halifax. There was just one problem. To further his judo ambitions, he would have to leave Atlantic Canada to find better coaching and competition. Chad Brooks was a canoe-kayak coach at the Maskwa Aquatic Club at that time, and remembers the conversation he had with Scott. “He said, ‘Listen, I have to move to Montreal to be really good at judo. I’m not ready to do that. To be really good at paddling, I have to live in Halifax and I’m already here. I want to go to the junior worlds next year.’” says Brooks. Brooks was understandably taken aback. Scott had been a member at Maskwa for several years, but only as a recreational paddler. Brooks was coaching several good young kayakers who were also aiming for the Junior World Championships, and they had all been training year round for many years. But he saw something in Scott. Scott followed the advice of Brooks closely and switched his focus from full-time judo training, to full-time paddling. 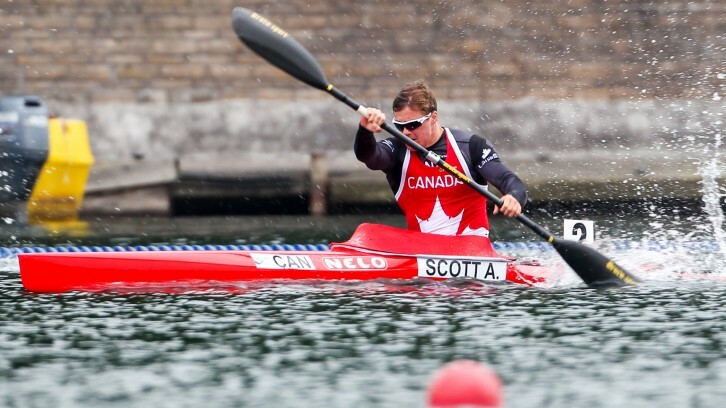 Scott is now on the senior national squad, and is the training partner of double world champion Mark de Jonge. “He was one of the first big names that I knew. It’s cool because he’s from my club. For a long time he was definitely a role model of mine, and now he’s a training partner and a friend,” says Scott of de Jonge. The team will spend the next few months training in Florida ahead of the international racing season in Europe, which begins in May. Brooks, who is now the national team coach in Atlantic Canada, says Scott continues to improve rapidly, meeting, and even surpassing, many of the physical markers set down by other members of the squad. 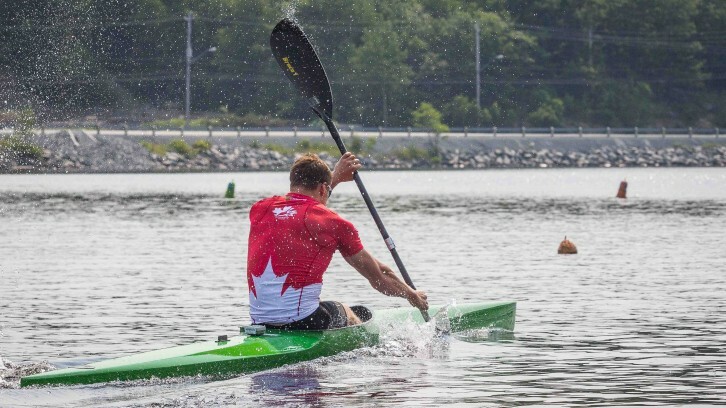 He is still learning the more subtle parts of kayaking technique, although Brooks notes that both he, and de Jonge, are seeing huge improvements in this area as well. Scott’s big goal for this year is making the team for the Olympics in Rio de Janeiro in August. Still, at 20, Scott is one of the youngest established members of the squad, and the Games may be a year or two too early in his career. De Jonge is almost guaranteed to take the K1 (single seat kayak) 200m berth, leaving Scott battling for one of two places in the K2 (double kayak) 200m event. He is up against several athletes, including Canada’s representatives at London 2012 in the K2, Ryan Cochrane and Hugues Fournel. Despite this, Brooks wouldn’t be surprised to see Scott on the water in Brazil. “I would never doubt him, because he tends to accomplish what he sets his mind to,” he says.